Designed as a full eternity ring, this beautiful style radiates glitz and glamour. Exhibiting a double row of micro-set round brilliant cut diamonds, this ring flaunts incredible fire and sparkle. Measuring 3.8mm in width, this eternity ring could easily be worn on the engagement ring finger and would look equally fabulous, worn alone on the right hand. 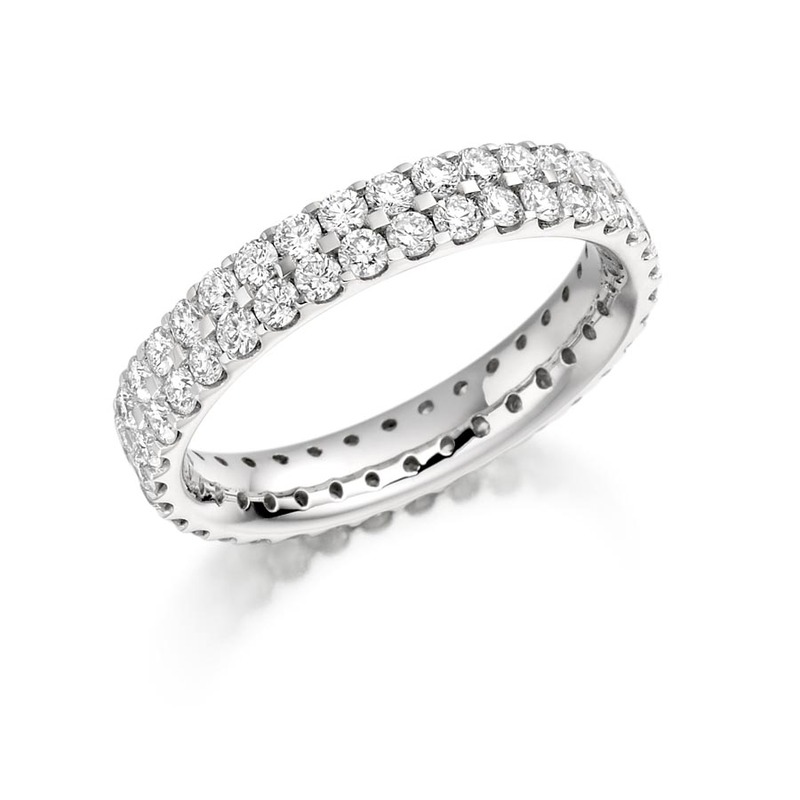 At Voltaire Diamonds, we have a large and varied range of eternity ring styles to choose from. We can also specially make a ring to your unique requirements. Book your appointment with us at our welcoming offices in Dublin or London to discuss your options with our consultants. We will be delighted to assist you.